NATURALLY FORMULATED FOR OVERALL SCALP HEALTH: Scalp Revival Shampoo is formulated using potent natural ingredients that provide relief for dry, irritated, itchy, flaky scalps and help remove impurities. This unique shampoo includes vegetable-derived micro-exfoliators to remove dead skin cells and product build-up from the scalp to support a clean, balanced, and healthy scalp. Biotin, a B-complex vitamin, strengthens the hair shaft and follicle to promote fullness of the hair. THE CLEANSING POWER OF CHARCOAL: Charcoal has quickly become one of the most popular ingredients in the beauty industry and for a good reason. With natural cleansing properties, charcoal can help not only clean your hair but help keep it healthy. Binchotan Charcoal, one of the key ingredients in Scalp Revival Shampoo, works to clean the hair by allowing for the optimal absorption of oils and impurities such as dirt, sebum, and product build-up while promoting overall scalp health. RELIEF FOR DRY, ITCHY, FLAKY OR IRRITATED SCALPS: Scalp Revival Shampoo can help to keep your hair looking soft and healthy while keeping your scalp balanced and moisturized. The natural calming power of peppermint and spearmint oil have been included to help soothe irritated and itchy scalps and help to maintain a healthy scalp pH level. Natural oils in combination with tea tree oil work together to promote overall healthy hair growth and reduce flakiness. 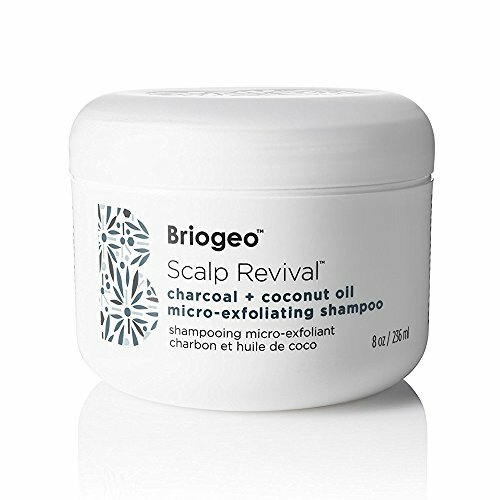 ADDITIVE AND CRUELTY-FREE: Briogeo is proud to say that Scalp Revival Shampoo is 98% naturally derived. Specially formulated, this natural scalp revival treatment does not include sulfates, silicones, phthalates, parabens, DEA, or artificial dyes. Scalp Revival Shampoo is certified gluten-free, cruelty-free and suitable for vegans so you can feel good about looking good! Those who suffer from ingredient sensitivity, skin conditions, and/or allergies, should consult a dermatologist before use. PERFECT FOR TREATED HAIR: The incredible ingredients in Scalp Revival Shampoo make it the ideal product for washing and maintaining treated hair. Whether you routinely color your hair or use a keratin or chemical treatment, the unique blend of vitamins and nutrients will help keep your hair looking and feeling its best! 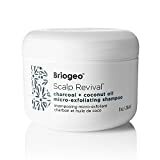 You'll see and feel the difference with the natural Scalp Revival Shampoo from Briogeo.